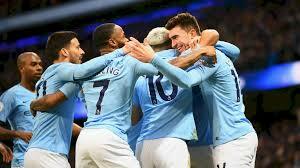 Manchester city reclaimed the top spot from Liverpool as they demolished Chelsea 6-0 at the Etihad stadium. Raheem Sterling opened the scoring in the 4th minute. Sergio Aguero soon added 2 more and Ilkay Gundogan also scored once to send the home side 4 up within the first 30 minutes. The Cityzens carried that advantage into the halftime break. Chelsea’s mauling continued after the break as Sergio Aguero completed his second hattrick in eight days after he converted from the spot. Raheem Sterling then added yet another goal in the 80th minute to make it 6 in favor of the home side. This was Chelsea’s heaviest defeat in a long long time. “This­ Manchester City squad is quite possibly the best I’ve ever seen in English football in terms of depth of quality. Man City really do look unstoppable when they are on form like they were yesterday. That being said, there are still a lot of matches to be played in the premier league and they cannot rest on their laurels just yet. Fans Will Love What This City Player Said About Aguero! Pep Guardiola Sends Warning Message To Liverpool After Chelsea Demolition!